Welcoming a baby into your family is one of the most joyous occasions of your life. But just like anything worth celebrating (such as your wedding day or buying your first property), it’s not without its expenses. How quickly they grow! The bills, that is. Did you know it costs roughly $300,000 to raise a child from birth to age 17? If you break that down, that’s $1470 a month. This can put a significant strain on your monthly budget and mortgage repayments. Rest assured, however, there are several steps you can take in advance to minimise the impact on your new family’s bottom line. The upfront expenses are really going to whack your budget hard. So it’s best to obtain the items you’ll need well in advance to spread the cost. Of course, you can purchase a brand new bassinet, playpen, clothing, car seat, cot, stroller, toys, high chair and changing table. But chances are you don’t really need that fancy, brand new $1,000 cot. Focus on your needs instead of your wants, because wanting can quickly add up. There’s absolutely nothing wrong with obtaining gently-used items second-hand, either at a substantial discount through trading websites or for free from a family member or friend. Remember that bub outgrows everything quickly anyway. If you worked before having your baby and made under $150,000 annually, you could be eligible for the government’s Paid Parental Leave program. You do have to apply, but you get 18 weeks of minimum wage benefits (amounting to $719.35 per week before taxes). There’s also a two-week partner and dad pay option available, and take time to check into your company’s leave programs. Unless you plan to stay home with your children or have family members who will help provide childcare, get your name wait-listed at several childcare facilities. Availability is a huge issue, so getting on the lists quicker will help in the long run. You can use the Childcare Subsidy Estimate Calculator to figure out if you’re eligible for entitlements. It’s common for Australians to have total and permanent disability and death benefits through their super fund. 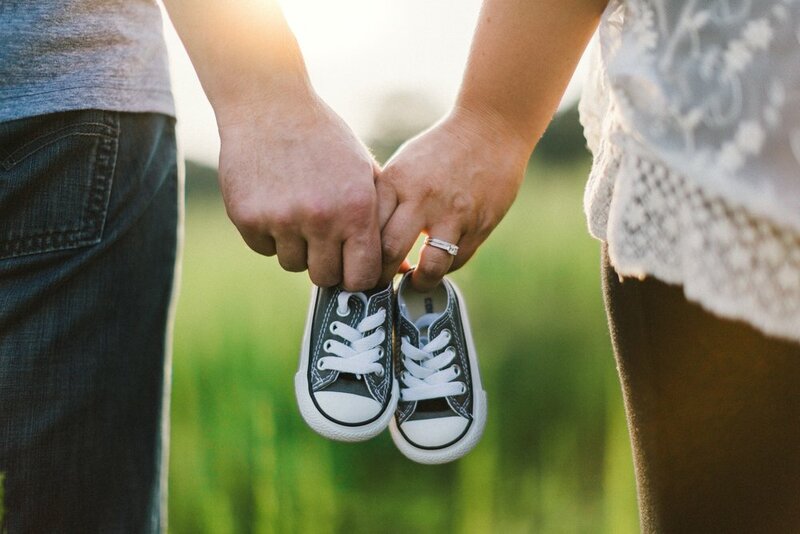 However, while the life insurance coverage may have been adequate pre-children, there’s a good chance it won’t be enough for a single parent to comfortably raise a child. Additionally, you don’t want to fall into the trap of just insuring the breadwinner in your family. Everyone should have coverage in case something happens to one, or both, of the parents. This can be a complicated area to navigate alone though, so be sure to seek financial advice. Even if you don’t have significant assets or debts, you need a will if you have children. Not only does a will specify what your family does with your belongings (including your super and insurance), but it also specifies who makes decisions if you can’t make them yourself, any wishes you may have, and who will take over raising your child or children if both parents pass. If it’s possible before the baby comes, prioritise your existing debt and work on paying it down – or off – before the baby is born. Once the baby arrives, you may not have a whole lot of spare cash to put toward any existing balances. Consider consolidating your debts or speaking to us about refinancing your loans or mortgages to one with a lower interest rate. One of the best things you can do is update your monthly budget with your newest family member in mind. It’s also great to start living on this budget before your bundle of joy arrives – start practising living on less. You can update (or create) your budget using ASIC’s Budget Planner. Don’t forget to include your quotes for childcare and any new miscellaneous expenses you’re likely to incur. If you don’t have an emergency fund, start one. You’ll want to have at least three to six months worth of living expenses saved, with the goal of at least a year’s expenses. This can provide a buffer that you and your family fall back on if you run into unexpected expenses like an accident, the car breaking down, or something in the house needing immediate replacement. The last thing you want during this happy time is to worry about your finances. That’s why it’s so important to prepare as early as possible. If you’d like help with any of the steps above, then please get in touch. We’d love to help make sure that your first few months as a new family are enjoyable ones! Disclaimer: The content of this article is general in nature and is presented for informative purposes. It is not intended to constitute financial advice or a recommendation and may not be relevant to your situation or circumstances. Before taking any action, consider your own particular circumstances and seek professional advice. This content is protected by copyright laws and various other intellectual property laws. It is not to be modified, reproduced or republished without prior written consent.